When you’re posting to Instagram every day, it can be tough to feel inspired. You want to post photos that reflect your brand but coming up with fresh ideas can be a challenge, especially when there are so many other parts of your business or blog that demand your attention. So here’s a three-point plan you can set up so that you always have inspiration to hand for your Instagram feed. Whether you consider yourself a creative or not, if you’re putting out original content for your blog on a daily or weekly basis, it can be helpful to have creative practices to support you. Julia Cameron, in her book The Artist’s Way, talks about continuously filling your creative well so that you always have something to draw on when creating. So we’re going to set up a couple of ‘wells’ that you can draw on for your Instagram creativity. The first is to have a notebook where you keep ideas for photos or captions. For me, if this a blank notebook rather than lined or gridded, I find it easier to draw and collect ideas. Also, if it is a soft cover notebook, rather than an extra special one, it is easier to be messy and write/draw thoughts. Just choose one that you’re happy to scribble in and is easy to carry around. This is going to be a bucket for your ideas. Even if an idea doesn’t seem quite right for your brand, it can be worth adding it to your notebook as it may spark other ideas that are better suited. Take five selfish minutes every day to be inspired from Instagram. What hashtags or accounts do you really love to look at? It can be because you love the lifestyle they’re portraying, the styling or simply great photography. You don’t need a reason – just whatever you like. If you find yourself going into business social mode, commenting and liking photos with your engagement hat on, you could set up a separate Instagram account for your five selfish minutes. You can set up a second account by clicking on your settings, scrolling down near the bottom of the page to ‘Add account’. Once you have it set up, you can switch between your business and personal accounts by clicking on your name at the top of your phone screen. To start, search for some of your favourite interests, themes or hashtags. When you click on a result, Instagram will show you related hashtags across the top of your screen. If you really have no idea to start, you can pick your favourite colour and go from there, finding accounts and hashtags. You can find more great accounts once you have found the first, by clicking the dropdown menu to the right of the account name – Instagram gives you similar accounts. Aim to follow 20 or more accounts that post regularly for your daily fix. By taking this time every day, perhaps with a coffee or tea or even in your waiting time on the school run, you’re filling your head with ideas you can draw on at a later time. A lot of this process is unconscious, which means you don’t have to think; ideas are just going into your head, quenching your inspiration thirst. You also may find ideas that you want to add to your notebook. Sometimes there are just so many beautiful pins you want to save and a notebook just doesn’t cover it. This is where you can curate your favourites onto secret Pinterest boards. Perhaps start with one board and then add others as needed. I have a secret Pinterest board for styling, which is a bit of a catch-all, one for beautiful food and another for backgrounds. You can save Instagram photos to Pinterest with Instagram on your desktop using the Chrome Pinterest extension. The Tailwind Chrome extension also has this functionality, but it involves more scrolling down the page. 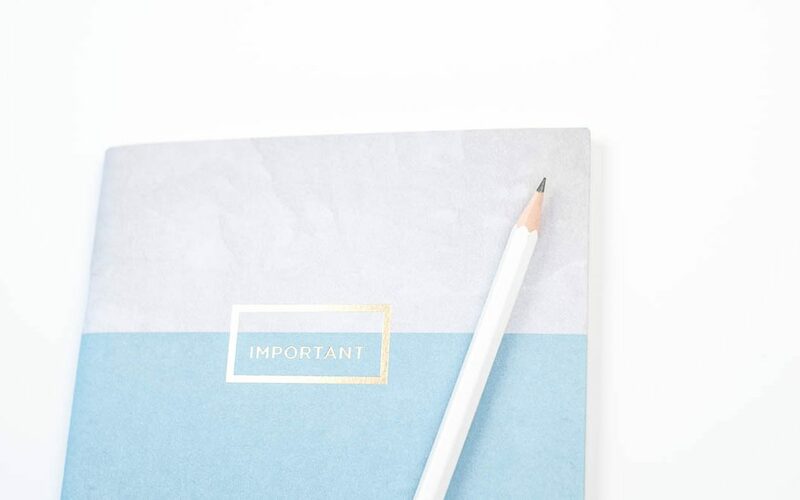 After a few weeks of taking your selfish five minutes, you should have a stash of ideas in your notebook and Pinterest so that you always have inspiration at your fingertips.